I have not made nearly enough curries or South East Asian food lately, so Beef Rendang was a good choice for this week’s date night. 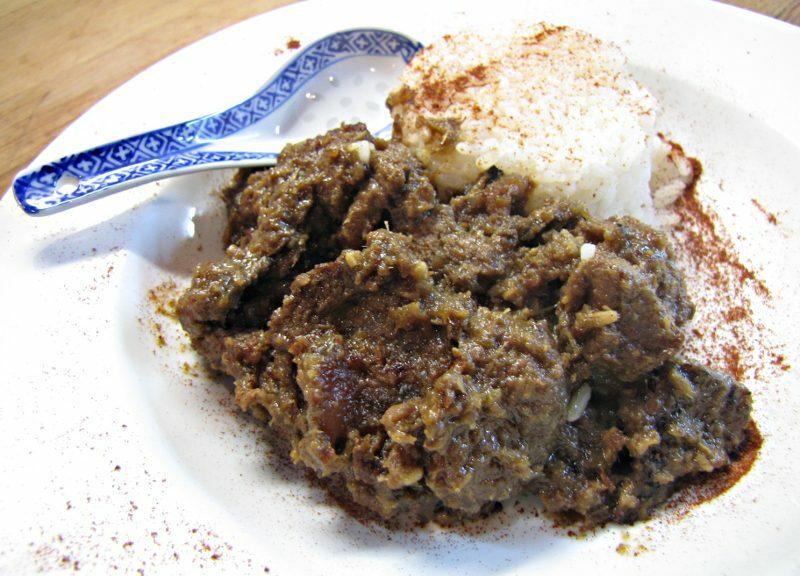 Rendang originated in Indonesia and spread to Malaysia and Singapore when the Minangkabau settlers migrated to those countries. This is a slow cooked dry curry, rich with spices and full of flavour.